Do you like foam in your coffee? It's called a cap-a-keeno, and you'll never believe what it costs! 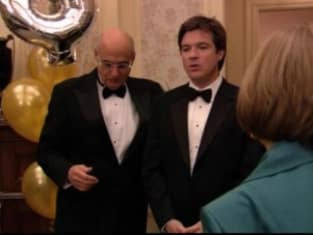 Arrested Development Season 3 Episode 9: "S.O.B.s"
And whatever happened to the Muffin Man? Remember him? I always pictured a giant six-foot muffin trying to eat me while I was eating him. It's kind of a fantasy I go to a lot now.